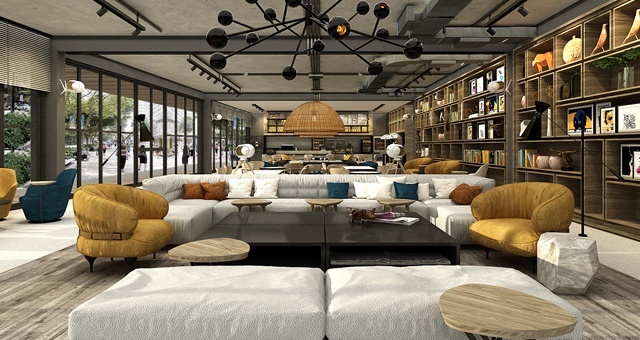 AccorHotels has commenced the global rollout of a holistic new customer and guest experience in a significant revamp of the Ibis brand, with social elements and greater interaction with a hotel’s local community to feature as part of a broadening of its hospitality offering. The new strategy comes in the wake of an Ipsos poll conducted across six countries, including Australia, which showed travellers were seeking more of a general social venue from an economy hotel. More than 80% of survey respondents said they were seeking a venue where even “non-staying” guests felt welcome. Along with a general redesign of its brand standards, hotel layouts and public image, Ibis Hotels has embarked on a process of transformation which will now see hotels repositioned as a genuine living space for everybody. The brand now seeks to present itself as offering flexible facilities available at any time of day or night to better fit with the needs of its ever-evolving customer trends. More than two-thirds of respondents rated between 6 and 10 for a hotel concept which invites people to sleep, dine, socialise or enjoy live music. As a result, Ibis says it intends to introduce new social concepts within its hotels to foster interaction between travellers and locals. Perhaps the biggest change to the Ibis brand is the complete removal of the traditional check-in desk. Now, guests are greeted on arrival by a member of the team and ushered to the bar or lobby lounge where arrival formalities can be completed with a welcoming drink. Check-in is completed with the use of tablet devices powered by the PSM FOLS Mobile solution. This feature aligns with an Ipsos poll response which showed 61 per cent of travellers still preferred some sort of human interaction when arriving at a hotel, as opposed to a service completely powered by technology. 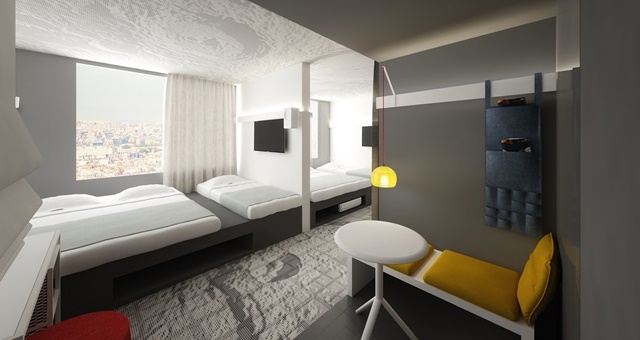 A promotional campaign introducing the new Ibis concept will roll out this month, with full deployment across the brand’s 1,100 hotels and counting expected to be in place by 2022. The new concepts are currently being installed across Ibis hotels in the UK, France, Germany and Switzerland with roll-out to be expanded from there. As part of the rollout, hoteliers and owners will be able to select from a variety of new and flexible dining concepts to suit the specific characteristics of the hotel’s clients. One example is that chosen by the Ibis Zurich Messe Airport, which has opted for a craft beer bar, dubbed ‘Charlie’s Corner’ – where the menu changes several times per day. By morning, coffee is the theme while evenings see the Beer Wall unveiled and a selection of Swiss beers made available.